Fantasia and Jazmine Sullivan are bringing some soul to a city near you. The R&B singers will embark on a co-headlining tour this fall. The 10-date trek is set to begin September 22 in Buffalo, New York, and travel to cities including Chicago, New York, and Baltimore, wrapping November 19 in Los Angeles. The duo, who will take turns opening and closing, promise to deliver a spectacular live show. 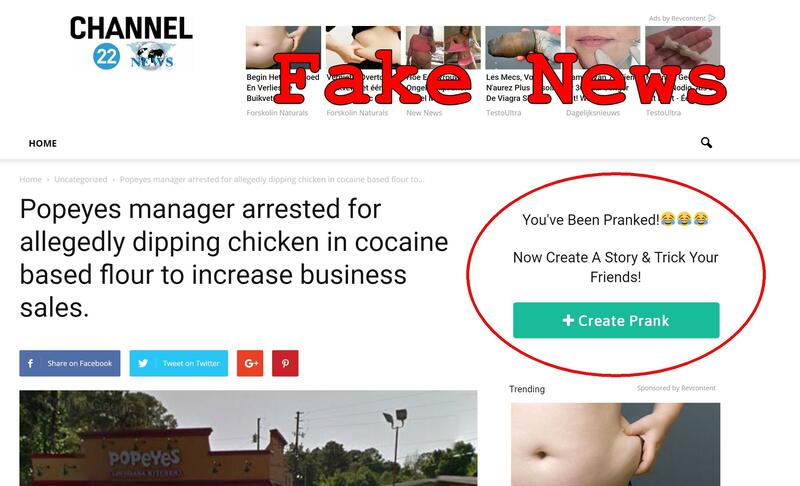 None of it is true. Most of the article text is copied from this announcement where Fantasia and Anthony Hamilton announced a joint tour that took place in 2016. Meanwhile the story is being shared around widely as you can see in the Trendolizer graph at the end of this article. 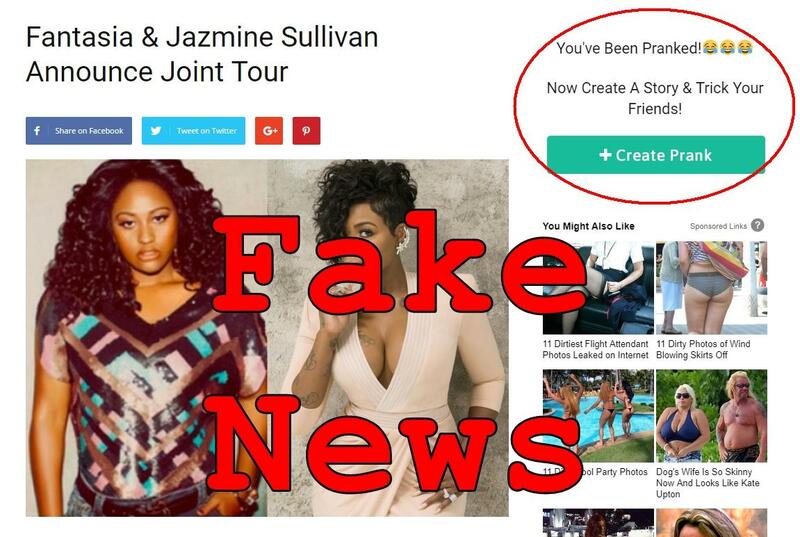 If you see any Fantasia or Jazmine Sullivan fans being fooled by this 'news' you can help by pointing them to this article here because nobody likes fake news.